The French genius Georges Cuvier had a profound influence on dinosaur studies. He is called the ‘Father of Paleontology’. He knew a lot about a lot of stuff, plus some more stuff as well. 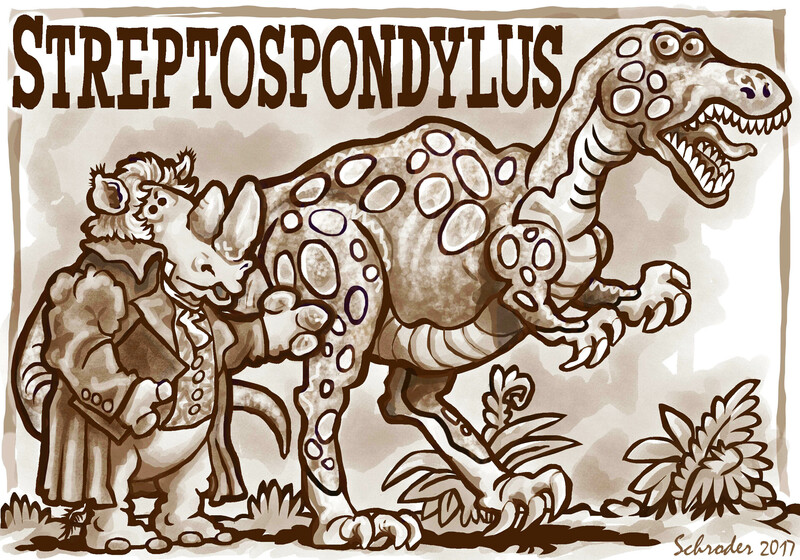 In 1808, at age 39, he gave the first analysis of a dinosaur, the Streptospondylus, along with speculations on how it carried on. It was inaccurate to some degree, but it provided a System for Naturalists, Geologists, Paleontologists and Comparative Anatomists. And their friends and colleagues. He also presented the Catastrophy Theory: all natural systems have a lifespan, change and extinction being part of the Natural Order. Easy come, Easy go. A Very Smart Guy, M. Cuvier. To say the Least. A Wow-Meister.